Mobile devices are increasingly used more than desktops or laptops; this trend holds true beyond consumer activity and well into the workplace. Small business owners and employees understand this intuitively – when wearing multiple hats, you need the flexibility to draw upon tools at a moment’s notice. When it comes to productivity tools like CRMs, it’s sensible to want them available anytime, anywhere. Therefore, business owners prefer CRMs that are highly-functional, well-priced and accessible on a mobile device. If you’re new to CRM, check out our Beginner’s Guide to Understanding 3 Types of CRM Solutions. If you’ve got an idea of what you need, check out these 10 free CRMs for small businesses. Not only do they provide essential CRM features (and then some), but they are also available on mobile devices, whether through dedicated mobile apps or responsive design – so you can access your tools anytime you need them. Insightly is free for up to 2 users, and it comes with contact, tasks, leads, opportunity and project management tools. It also allows for email logging, filtered reports, integrations with cloud storage apps, popular software suites (Office 365 or Google Apps), email clients, accounting software and advanced reporting tools, not to mention Power BI. Its mobile app places these tools at your fingertips and includes features like a mobile card scanner that automatically creates a contact upon scanning. Insightly’s free version is a great small business CRM suitable for very small companies or freelancers. Check out our overview of Insightly. Zoho offers a powerful platform whose free CRM – though stripped down compared to its paid plans – provides highly effective contact, tasks, leads, opportunity and project management for up to 10 users. It includes advanced filters, basic marketing and customer support automation, team collaboration tools like document sharing and direct messaging, social media integration and standard reporting. Zoho offers a mobile CRM app – which can log calls – and a separate app if you want a business card scanner. Zoho offers considerable functionality in their free CRM, which is suitable for small businesses with under 10 employees, particularly those using other Zoho applications. Check out our overview of Zoho CRM. Capsule CRM is a lightweight free CRM for up to 2 users. It gives fairly limited storage, but offers effective contact management tools, email tracking, simple sales reports and a surprising degree of adaptability through official integrations. 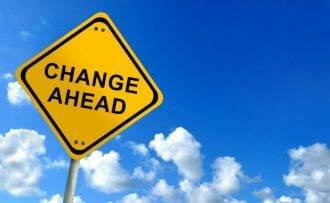 The limited storage means companies with extensive business data will feel the need to upgrade. The Capsule CRM paid plan is relatively cheap and doesn’t lock you into an annual contract. While the mobile CRM app doesn’t itself scan business cards, the platform allows automatic creation of contact info based on external scanning apps. Capsule CRM is a great small business CRM for companies that conduct most business offline, or would rather continue using existing systems, but still want a well-rounded platform for contact, task and opportunity management with basic sales reports. Check out our overview of Capsule CRM. The Hubspot CRM is free for as many users as you need. There is a cumulative limit of 1 million records for contacts, companies, deals and tasks. The browser-based app provides views for contact and task management and a drag-and-drop deals pipeline, all with detailed filters. The free CRM also includes document sharing, call tracking and a marketing add-on for lead generation, nurturing and follow-up. Certain features are restricted – email templates, direct messaging, reports and an integrated calendar, among others. Hubspot has two mobile apps depending on which services you use – Sales by Hubspot and Marketing by Hubspot. If you’re using the free version, you’d want to use the former. Hubspot offers a clean UI and plenty of potential, but the features feel limited compared to other free CRMs. While the paid version are quite robust and offer advanced marketing features, if you’re looking for a well-rounded free CRM for small business, you may want to look elsewhere. Check out our overview of HubSpot CRM. Agile CRM is free for 10 users. It provides contact, task and opportunity management, as well as lead scoring, email tracking, appointment scheduling and integrated 2-way email and telephony. Aside from the Sales and Marketing features, Agile CRM also includes helpdesk options and basic reports. 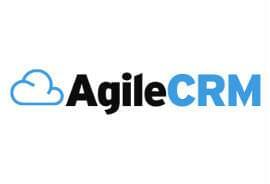 Agile’s free CRM also offers custom data fields, which allows capture of business-specific data, and custom deal milestones and tracks that allow for automatic task assignment or follow-ups. Agile’s mobile CRM app includes these features, and the CRM’s integration with Google Calendar means you can update your schedule on the go. Agile’s free version offers a well-rounded small business CRM that organizes and streamlines online engagement with customers. Its smooth UI, reports, automations and filters offer functionality beyond many of its free peers. Check out our overview on Agile. Odoo CRM is an open-source CRM that is free for under 50 users. Odoo (pronounced “Oh-doo”) produces several modules – ecommerce, sales, marketing, CRM, invoicing, MRP – and allow the use of one module for free. (Use of multiple modules requires a subscription.) Odoo’s free CRM includes a discussion platform for users, an integrated calendar, a customizable drag-and-drop opportunities pipeline with basic filters, contact management and activities analysis reports. Out of the box, Odoo feels limited; external modules provide project management, mass emailing and more detailed reports, but again – using multiple modules requires a subscription. The Odoo mobile CRM app, which is currently in beta, works offline and gives full access to leads, opportunities and other CRM data. Odoo CRM is quite navigable but the standalone features are quite limited. 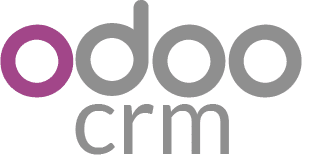 While other Odoo modules no doubt work well in conjunction with the CRM, it lacks the versatility of other free small business CRMs, but it’s certainly worth a try. Bitrix24 is also an open-source CRM, which offers communication tools free for unlimited users and business tools for up to 12 integrated email accounts. The browser-based platform provides a social intranet with an activity feed (called ‘Activity Stream’) that shows intranet and CRM activity, an integrated calendar that syncs with popular calendar apps and mobile devices, cloud storage for documents and pictures, integrated email and email tracking and 2-way telephony. The CRM provides contact, lead, deal and invoice management, a sales pipeline view and standard reports on each category and general activity. The platform also offers ‘Open Channels’ for integration of messenger apps and social media. The Bitrix24 mobile CRM app offers access to intranet communication and CRM functions over a secure cloud connection. Bitrix24 offers a full range of impressive CRM functions out of the box. Most free CRMs don’t provide a specific module for invoicing by default. The downside is that Bitrix24 doesn’t import data from external applications, such as Freshbooks, so if you have a large amount of existing data, you’d need to use the developer API to migrate your data, or you could contract a Bitrix24 partner to build you a script. 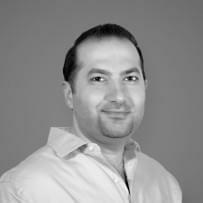 Zurmo is an open-source CRM that aims to provide potent sales force automation tools. The platform offers contact, activity and project management, deal tracking, automated workflows and marketing communications, language packs, customizable dashboards, layouts and fields, gamification, filterable reports on any set of records and extensive documentation for source code customization. Zurmo has a clean out of the box UI, and allows for data importation for nearly everything via CSV file. It’s fairly easy to use and highly adaptable. Zurmo’s free CRM can be installed on your web server, and there is a detailed installation guide on their website. The gamification features add an element of friendly competition to the platform. In 2015, Zurmo was acquired by marketing cloud company Gravity4 and a paid CRM edition has been rebranded as CRM.me. Zurmo’s free CRM is still supported; the most recent update was released on May 2nd, 2016.
vTiger offers an open-source CRM in addition to their subscription plans. Their free CRM includes 20 CRM modules for functions such as contact, lead, account, invoice, and opportunity management, document sharing, calendar and email integration, with customizable dashboards and filtered views. Users can develop their own modules or edit existing ones; the platform can be customized to handle workflows, automatically generate invoices and quotes, provide automatic multilingual support and more. vTiger’s mobile app allows access to your CRM data and the ability to add mobile alerts for certain events. vTiger offers well-rounded CRM functionality out of the box, but the biggest asset of this platform is it’s readily customized for specific business use-case scenarios. SuiteCRM is a software fork of SugarCRM, which stopped releasing an open-source version of their CRM in 2014. SuiteCRM offers the features of that last open-source SugarCRM edition in addition to its independently developed features. It offers account, contact, lead, invoice, project and opportunity management, calendar, email and call integration, tasks and notes, a knowledge base, workflows and reporting features. SuiteCRM was awarded the BOSSIE Award in 2015 and 2016 for best Open Source CRM (Odoo was also highly recognized). Users can access their SuiteCRM data and modules on mobile devices through SuiteMob, which offers offline support, an offline sync monitor and 360-degree record view as in-app purchases that last for a month. An alternative is QuickCRM, which offers access to core SuiteCRM modules in a free version, and complete access with a purchasable license. The platform itself is very well rounded, offering features comparable to many paid CRMs, but the absence of a fully-featured free mobile app might give price-sensitive users room for pause. SuiteCRM can be downloaded and installed on a web server for free. Users can choose to subscribe to a cloud-hosted plan, SuiteCRM: OnDemand, which has tiered pricing for a minimum of 5 users per month. Small businesses must be able to respond to situations with agility and speed. Whether fostering new leads, closing a sale, providing customer support or collaborating with stakeholders, business productivity tools must be accessible on all platforms. These free CRMs for small businesses not only offer breadth and depth of functionality, but their mobile features allow you to draw on their functions anytime you need them. For additional CRM overviews, comparisons and user reviews, be sure to check out our CRM Software Comparison Guide.